After all the times “roadies” picked on “fixies” over their color-coordinated and sometimes all-white builds, it seems the tables have turned. 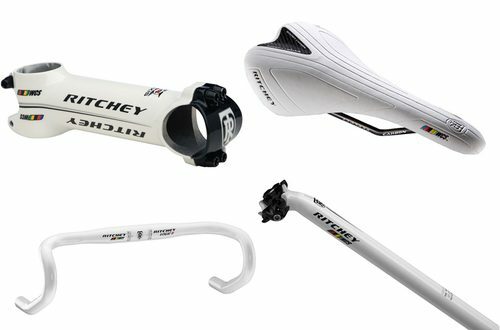 Ritchey just announced their “Wet White” component build kit. Like it or not, you’ve gotta admit the similarities to the “all white (well light blue)” urban fixed gear / track bike trend and the bicycle industry’s fascination with the “all white” road bikes as of late. They all still look too much like Ghostbikes in my opinion. Bad omen from the get-go! Or maybe it’s just a stylistic nod? You decide.